Ivan Crampton passed away peacefully at Kingsway Lodge in St Marys on the 28th day of March, 2019 in his 92nd year. Beloved father of Jondré and Hugh Beckett of Owen Sound, Gilbert Crampton of Parry Sound, Amy and Jerry Jutras of Etobicoke, Sharene and Denis Young of Wasaga Beach, Olwynne Crampton and husband Barry Pochron of Morristown, Tennessee, Owen Crampton of Calgary, Alberta, Siobhan and Werner Meyer of Gunzwil, Switzerland and Rachel Meyer-Fisher and husband Erwin Meyer of St. Marys. Much loved Poppa/Grandpa of: Chris Meyer (& Lara Middleton), Peter Meyer, Nicole Meyer-Fisher (& Stephen Pfann), and Ben Fisher (& Nicole Steinbrecher); Alexander Meyer (& Larissa Wechsler) and Lina Meyer (& Emanuele Kampmann); Darlene & Geordie Guenther and Pauline & Justin Miller; Thomas Pochron, Daniel Pochron (& Meghan Tucker), Stephanie & Daryl Creamer, Julie & Wesley Aiken, Jennifer Pochron (& Jorge Gochez), and Lynette Gochez; Andrew Young and Scott & Leslie Young; Claire & Karl Herterich, Ivan Jutras, and Katherine Jutras; Edward Crampton (& Chantel Burt), Marianne & Andrew Austin, and Emily Crampton; Owen Beckett (& Lisa Beckett), Brent Gilbert, Collene Bullock (& Scott Byers), Ryan Gilbert, Michael Gilbert, Jeff Beckett (& Michelle), and Shawn & Cathy Beckett. Cherished G-Poppa/Great-Grandpa of: Elissa, Michaela & Isaac Guenter; Riley, Brady & Marie Miller; Scotlyn & Charles Creamer; Liam & Lorelai Aiken; Xavier Gochez, DJ Mayo, Jaylynn Mayo, & Jeffrey Gochez; Rhylley, Chase, Cristian & Cheyanna Gochez (& Kevin Parsons); Alexis Young, Ethan Lemure & Benjamin Williams-Young; Luke Herterich; Sam Austin; Kylie Beckett; Leise, Elsie & Neave Bullock; Blake & Zoey Gilbert; Derek Boyd; Rylan, Tayton & Trewit Beckett; and Holden Beckett. Beloved Great-Great-Grandpa to: Harlan Miller; Kinsley & Charlie Parsons; and Ava Gochez. Esteemed brother of Peter Crampton and wife Pauline of Illingsworth, England and brother-in-law to Robert Delyea of Etobicoke, David and Margaret Starkey of Etobicoke, Charles Starkey of Toronto, John and Donna Starkey of Oakville. Fondly remembered by many nieces and nephews and their families. 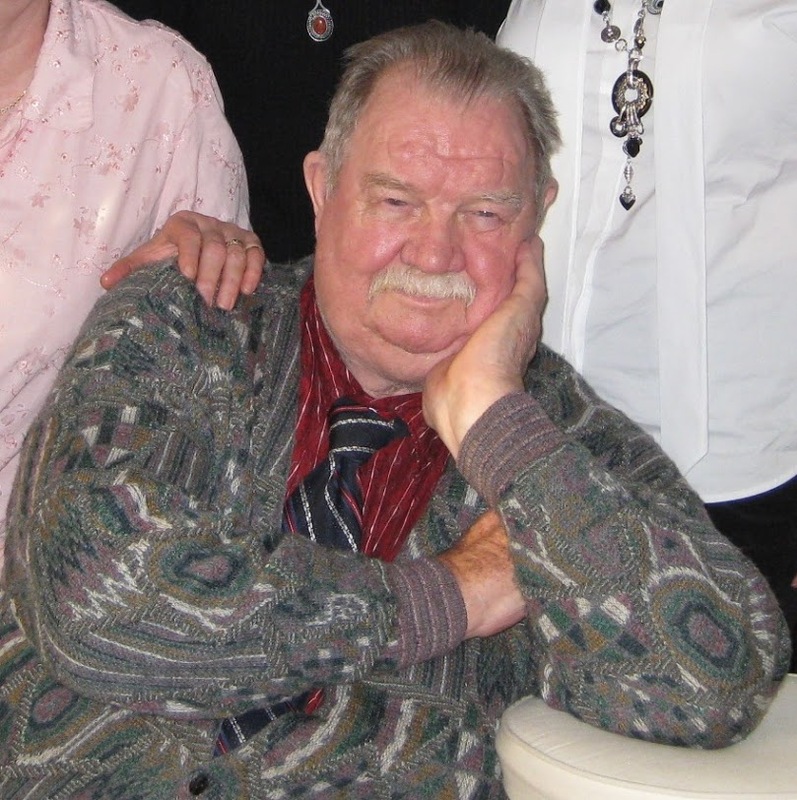 Predeceased by his loving wife, Stephanie Joyce Starkey in 2008, parents Gilbert Crampton and May Crossley of Yorkshire, England, sisters-in-law Joan Crampton (née Mumford) in 1999 and Alethe Delyea (née Starkey) in 2015, daughters-in-law Anne Crampton (née Jutras) and Gertrude Crampton (née LeClerc) both in 2018, by nephews Paul Starkey in 1990 and Colin Starkey in 2006, by niece Jill Noseworthy (née Delyea) in 2012 and grandson-in-law Mauricio Gochez in 2016. The family would like to express our special thanks to Dr. Charles Gatfield for his wonderful care and respect for Dad over the past 20 years and to the staff at Kingsway who made Dad’s last year jollier. Born in 1928 in Elland England, Ivan grew up in a community dominated by the mills and agriculture. He excelled in school and particularly loved history. Despite winning a scholarship to attend higher schooling, his parents insisted he join the workforce, so he chose agriculture. Being young, he was tasked to drive the 1917 Fordson Tractor, as the older fellows didn’t trust that ‘infernal’ thing. Wanting to volunteer for service in WWII when he came of age in early 1944, he was prevented from doing so due to agriculture being deemed an essential service. After the war, Ivan immigrated to Canada by boat from Yorkshire, England in 1949. He started working the first day he got here. He met his beloved Stephanie in 1954 at a Valentine’s dance at the YMCA where he was on the recreation committee. They married a year later and were blessed with eight children and his family meant everything to him. He was a loving grandfather to his 29 grandchildren, 34 great-grandchildren and four great-great-grandchildren. Ivan worked hard as a farmer and a truck driver throughout his working career to provide for his family. He farmed in Selkirk, Manitoba, in Tiny Township & Grey County in Ontario and in Baytree, Alberta. He worked for Parks & Recreation in the city of Toronto and for the Department of Highways in Ontario. He drove truck for Redi-Mix, Elias Rogers, Texaco and Esso and also drove nitro-glycerin trucks to mining pits in Northern Ontario and Quebec. He served as a sergeant in the army reserves with the Queen’s Own Rifles of Canada, his regimental family, winning trophies for his marksmanship. The QOR was always near and dear to his heart right up to the end. 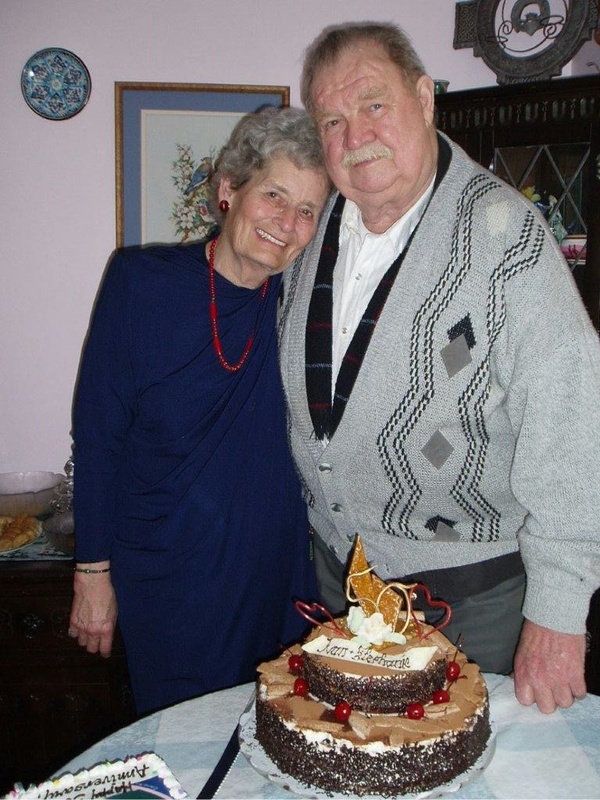 After retiring from trucking, Ivan & Stephanie moved out to Baytree, Alberta for several years before returning to Ontario in 1999 to be nearer to the grandchildren, settling in the St Marys area. He enjoyed playing cribbage, Bridge, Euchre and Hearts. He also enjoyed watching sports, but especially soccer, rugby & football. Ivan loved dancing and square dance calling. He also loved many genres of music and the music he collected throughout his lifetime numbered over 15,000 songs in his music library. An avid reader, he amassed a collection of over 2000 books. His loving heart and twinkling eyes, his sharp wit and dry sense of humour will be sadly missed. At his request, there will be no visitation. He will be cremated and his remains interred with his beloved Stephanie in Mount Pleasant Cemetery, Toronto in August 2019. A service to celebrate his life will take place at that time. Further details will be posted at a later date. Donations to the Queen’s Own Rifles of Canada Trust Fund can be made through the Andrew L. Hodges Funeral Home, P.O. Box 304, St. Marys, Ont., N4X 1B2 (519-284-2820).